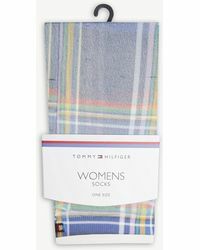 When it comes to classic American style, many people would choose Tommy Hilfiger as a brand that represents this from top to toe. Preppy classics sit alongside contemporary urban wear illustrating that this is a brand that has developed through the years and now caters to a very wide audience indeed. 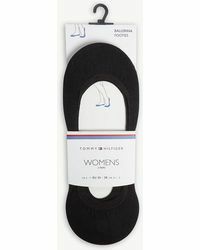 The hosiery range from Tommy Hilfiger has a broad range of socks, including the super practical no show socks, which come in packs of three. 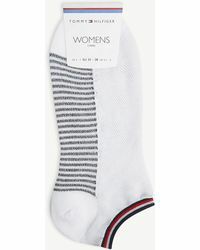 There are trouser socks in bold stripes and tiny dots, party socks and casual socks, as well as dress socks for those special occasions when only the finest footwear will do.